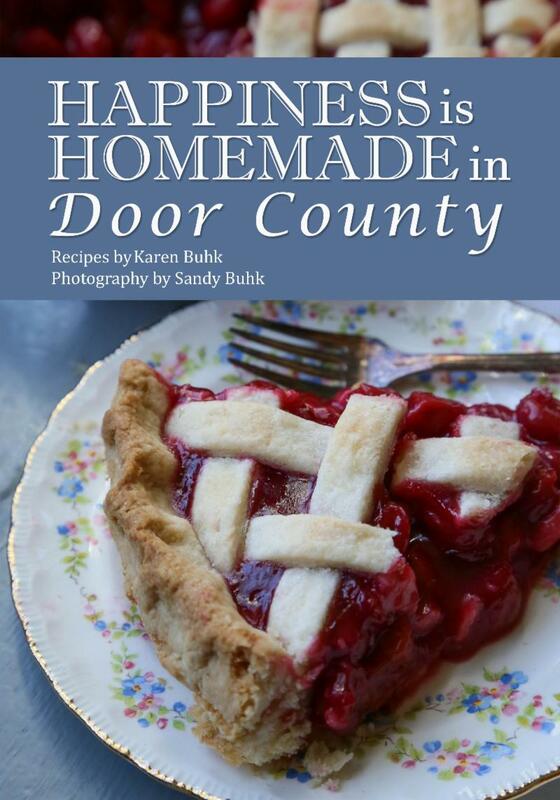 Karen Buhk has kept her traditional family recipes alive in Happiness is Homemade in Door County, a cookbook that contains the most delicious desserts and meals from the past to the present. Growing up in Seymore, a small farming community in northeast Wisconsin, Karen spent her childhood at the feet of her grandmother and mother, watching them in the kitchen, learning all the techniques and skills found in these recipes. Karen has been cooking and baking by look, feel, and taste all of her life and has now recorded many little details and secret tips so you can make these delicious dishes for yourself. She is well-known around Door County as the “Cookie Grandma,” making her special treats with love and sharing them with everyone she knows. You will be transported to the good old days, when life was hard but simple, through the recipes and stories found in Happiness is Homemade in Door County. Beautiful photographs by Karen’s granddaughter-in-law, Sandy Buhk, make this cookbook even more special. Order your copy today. Click here. Retail price: $24.95. (Hardcover, full color cookbook). Free shipping until August 1, 2018. Quantity discounts available for non-profits, academics, and other institutions. Please contact HenschelHAUS at info@henschelhausbooks.com for more information.